2 Minute Tuesday: Feeling Green? Our Midwest office is located on the beautiful Western Coast of Michigan, and while our California office has weather bragging rights most of the year, they can’t hold a candle to our weather in Autumn. As the leaves begin to change and the air becomes crisp, it’s hard not to marvel in the goodness of Mother Nature. What better time to reflect on what we can do to help keep our planet healthy. Green is everywhere, especially when it comes to inks and papers. 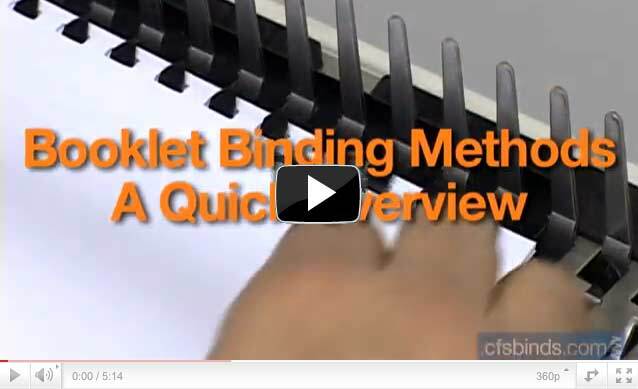 Now, there is no exception when it comes to purchasing your binding and finishing supplies. CFS is proud to offer a wide variety of eco-friendly products that feature recycled components. The following items are made up of recycled papers (new, scrap & post consumer waste), recycled aluminum, scrap steel, plastics and more! 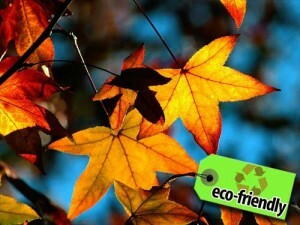 We continue to search the market for eco-friendly partners to expand our selection of Green products. If you know of any recycled binding supplies, please let us know. In the meantime, let’s all sit back and enjoy the change of seasons and all that Mother Nature gives us! At some point you’ve probably seen screw posts(aluminum posts for binding) used to hold together items like swatch sample books, menus or scrap books. Their common uses include holding together portfolios, presentations, blueprints/architectural plans, photo print albums, proposals, thesis documents and more. Screw posts are also used to bind old, archived book pages and by leather crafters in creating saddles and holsters. We have even seen them used to encapsulate paintings and large prints between two sheets of clear acrylic. Binding screw posts are often referred to as aluminum binding posts, thesis binding screws, Chicago binding screws, Chicago screw posts or Chicago post clamps. It was my 8th grade Graphic Arts teacher, who told me they were originally invented by the pressmen at the famed Chicago newspaper to easily hold together their large, mockups for the current day’s issue to be printed. Our class used screw posts to create custom notepad holders – back in the days before Post-its. Typically made of aluminum, screw posts come in colors such as: plain/uncoated silver, gold anodized, glossy black and antiqued brass painted. Plastic screw posts are also available in black or white. Made up of two pieces, a binding screw post includes a barrel post (usually the back portion) and a cap screw that serves as the top. The barrel post is a shaft with threading on the inside that allows the cap screw to securely fasten, sandwiching the bound material. The underside of the caps is knurled so that it will somewhat grip the stack’s surface. Using screw posts requires no special binding equipment – all that’s really needed is a hole in the stack of material that you want to keep together. The hole just needs to have a diameter of 1/4” or the standard 3-hole diameter of 5/16” – this is exactly the same as paper that is pre-punched for use in 3-ring binders. The holes can be made with a paper drill, a professional punch or even a standard, handheld paper punch. Capacities for screw posts range from 1/8” al the way up to 4” – making screw posts a considerable choice, since most other binding methods only handle documents up to 3” thick. These capacities can also be increased using screw post extensions. Extensions range from 1/4” up to 1” and are simply threaded into the barrel posts. 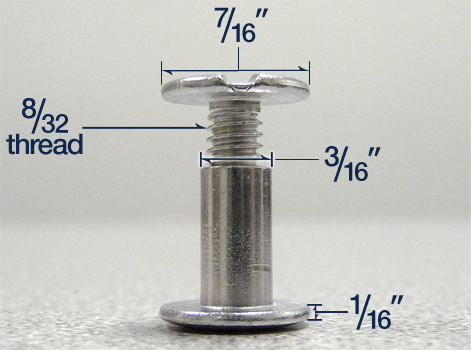 While their capacities vary, all aluminum screw posts share the same basic anatomy when it comes to dimensions or measurements. The barrel post shafts are 3/16” in diameter. The top and bottom caps measure 7/16” in diameter and are just 1/16” thick (in height). 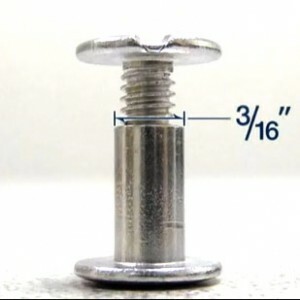 All aluminum screw posts and extensions use the industry standard 8/32 thread pattern. Plastic screw posts have a post diameter of .24” – still fitting a 1/4” or 5/16” hole. Their caps measure 3/8” in diameter and are 1/8” thick, making them appear slight bulkier than the aluminum versions. 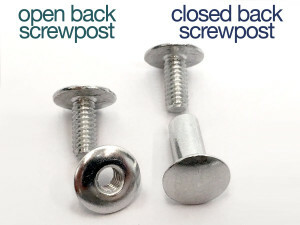 The process to use screw posts is extremely easy. Simply insert the rear barrel post portion into the hole on the back side of your stack. Then thread the cap screw into the post & tighten with a screwdriver. Make sure you take extra care to jog your stack for clean edges before final tightening. That’s all there is to binding with screw posts. Take a look at our complete line of screw post binding choices – we can even send out a couple free samples if you’d like to get a closer look or try them out for yourself. Please feel free to send your binding or finishing questions to us here at CFS.